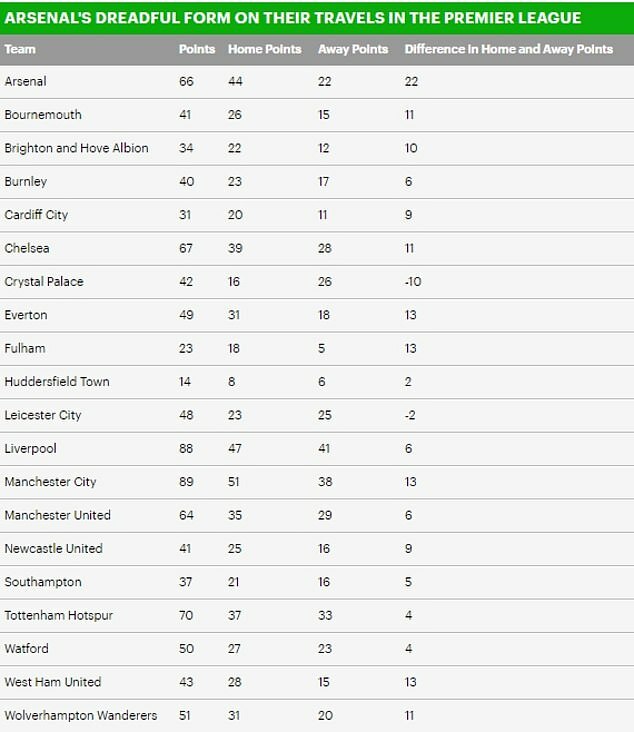 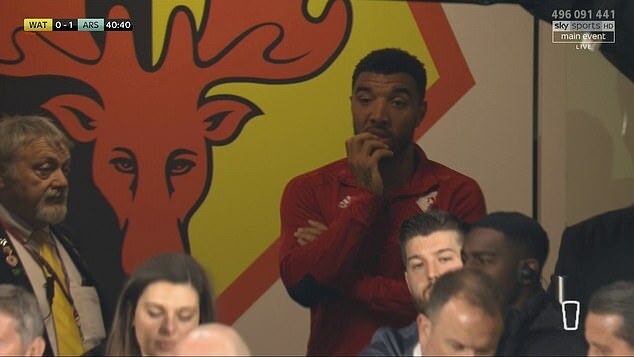 Troy Deeney was shown a red card just 11 minutes into Watford’s Premier League encounter with Arsenal at Vicarage Road. 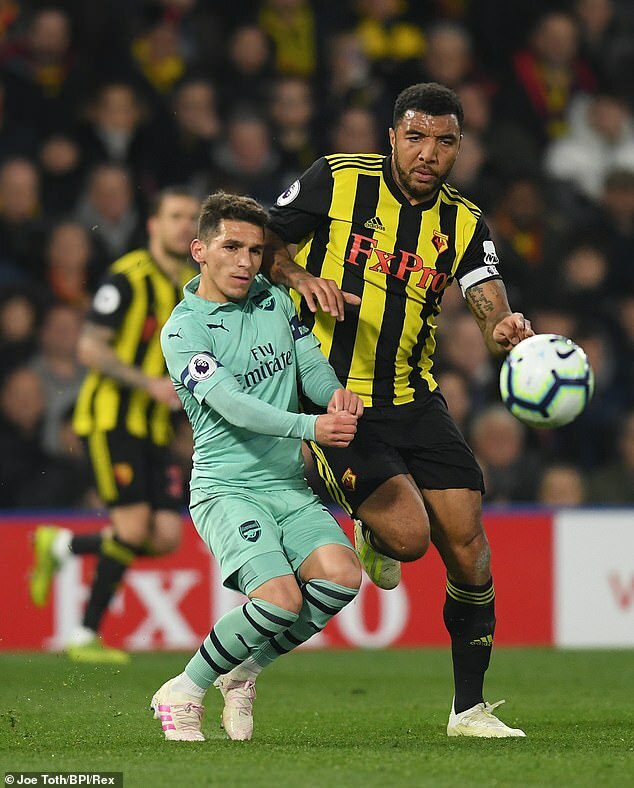 The Hornets striker appeared to elbow Gunners midfielder Lucas Torreira as he made a cross-field pass. 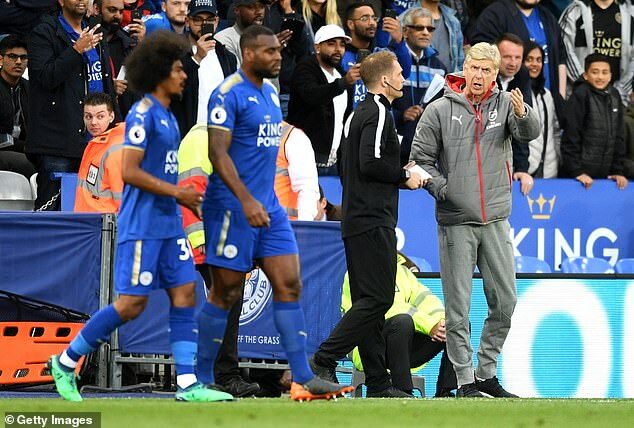 The 30-year-old was instantly shown a red card by referee Craig Pawson, much to the bemusement of the home crowd. 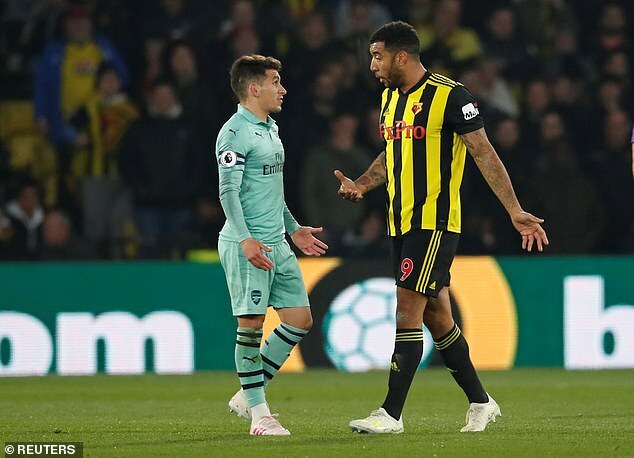 Deeney eventually agreed to leave the field after remonstrating with Pawson and questioning Torreira’s role in the incident. 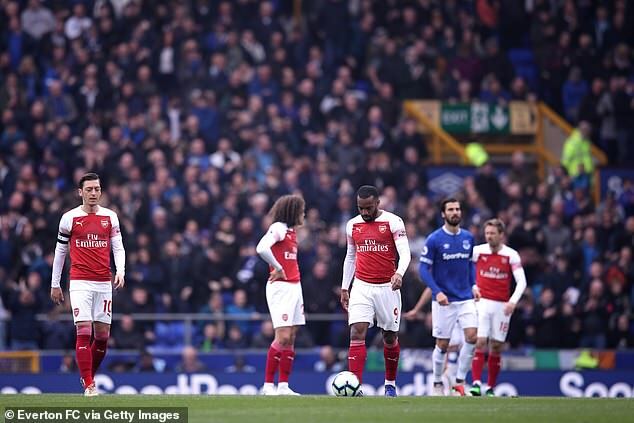 The marksman appeared to label the official’s decision ‘a f****** embarrassment’ as he parted. 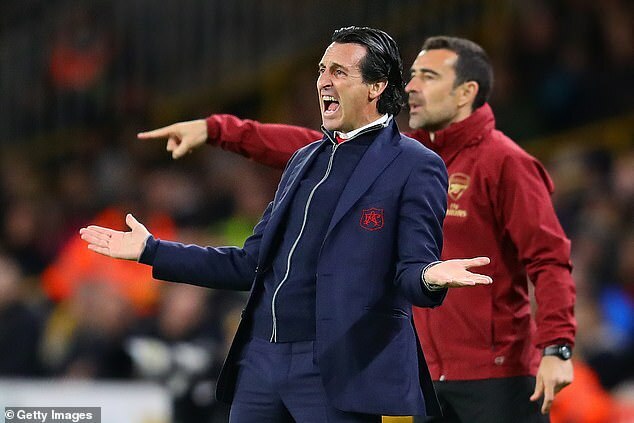 The former Walsall man pulled off his shirt in disgust and flung his captain’s armband towards a team-mate before making his way towards the dugouts. 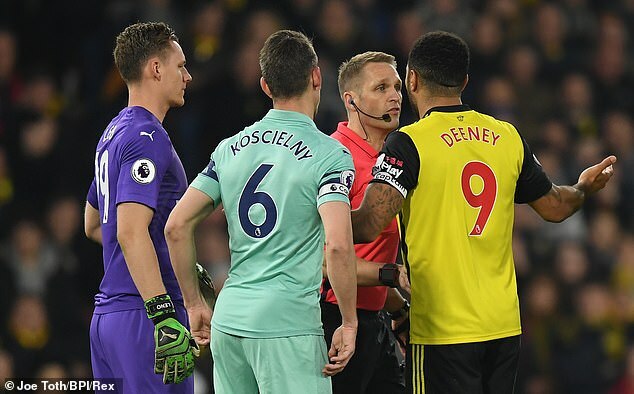 Deeney was dismissed just one minute after Pierre-Emerick Aubameyang had given the visitors the lead, charging down Ben Foster’s hesitant clearance. 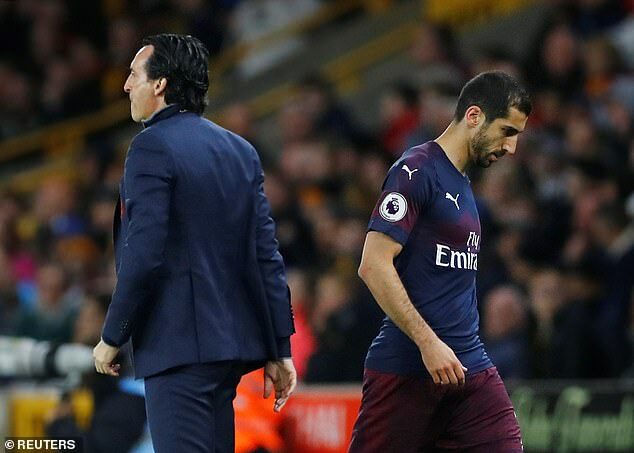 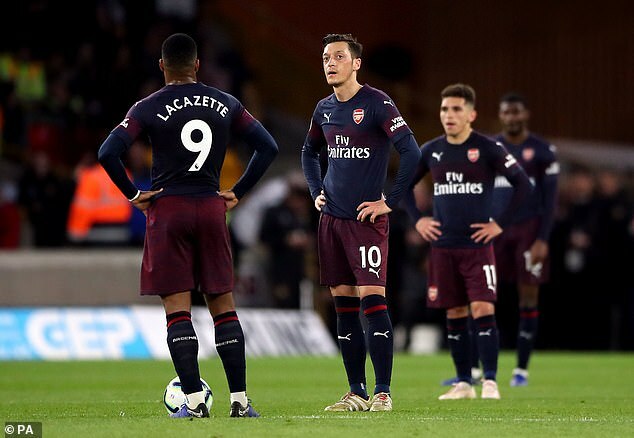 The fracas heightens tensions between Arsenal and the Watford No 9 after he said the Gunners lacked ‘cojones’ during their 2-1 defeat at Vicarage Road in October 2017.